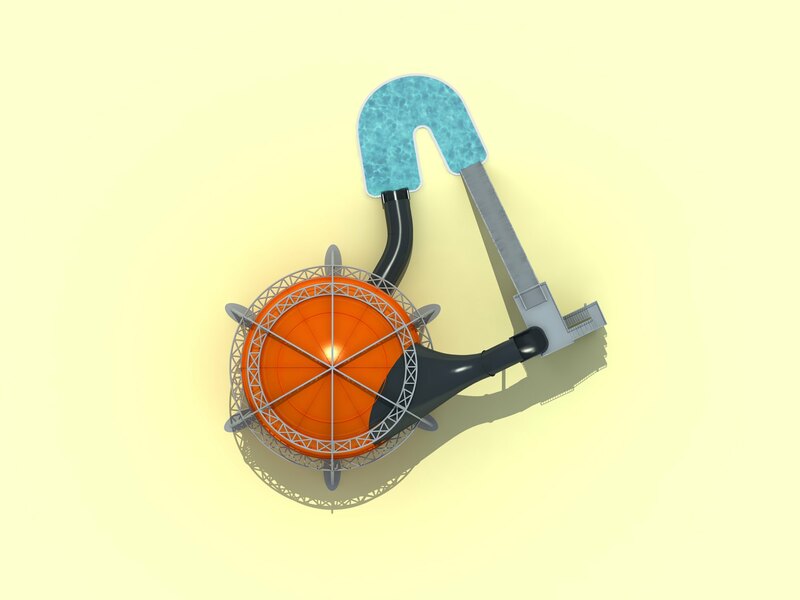 In 2011, Polin Waterparks introduced what is possibly their most unique slide: the Magic Sphere. 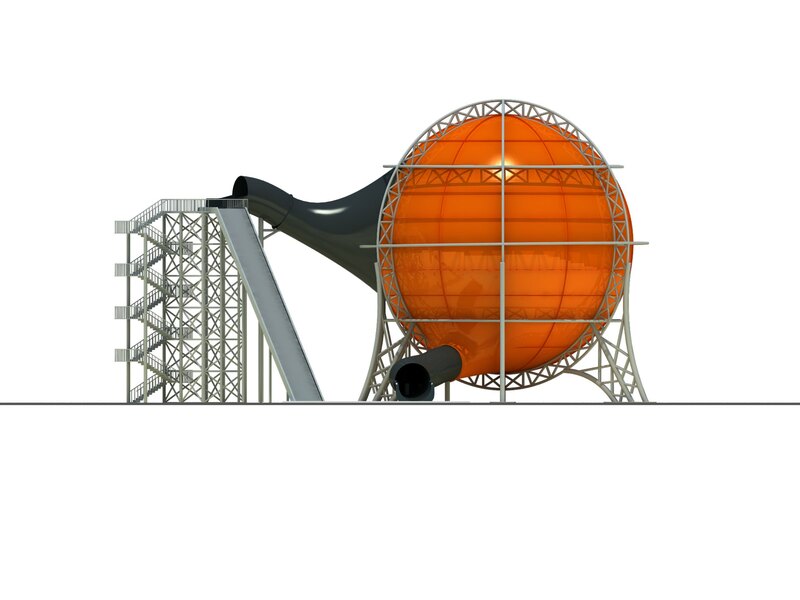 It can be fully enclosed so that the visually striking sphere provides a controlled environment for any story or theming element that its designers can think of. It can be half open or just have a small opening so that natural light come into the Sphere. 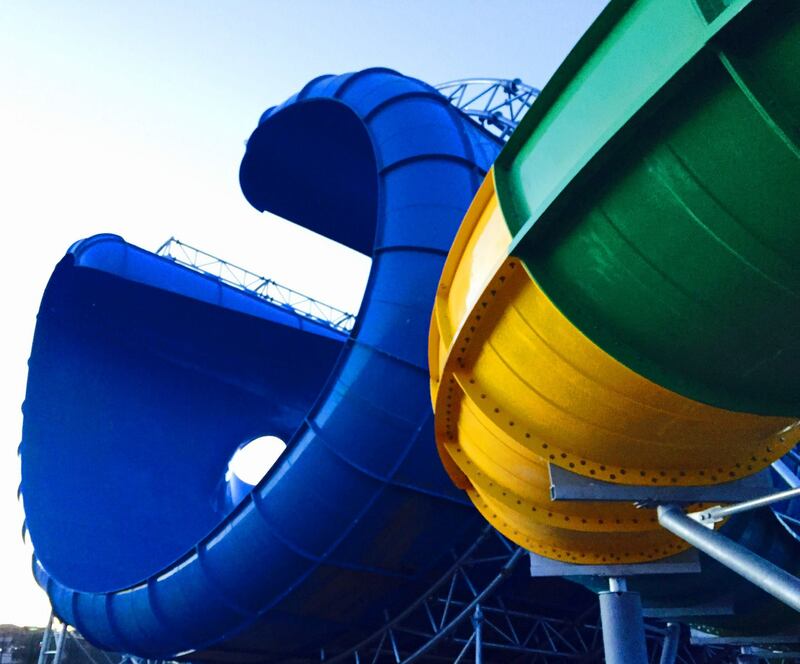 It has a striking appearance and given its shape can be the signature slide for any park. Polin provided those two concept arts that show what a sample installation of the Magic Sphere could be. 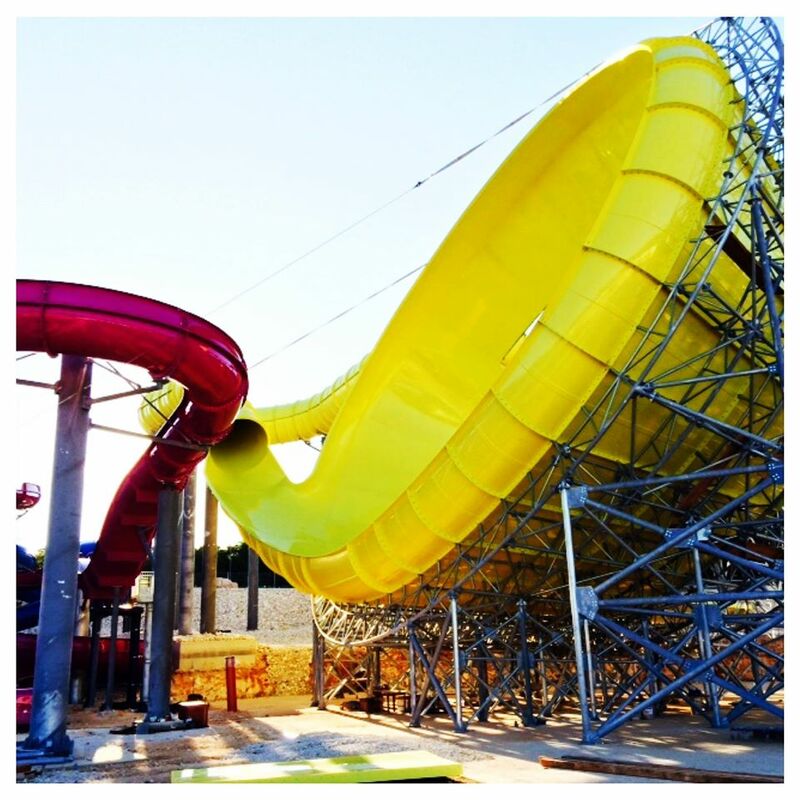 Ride wise, the average total height of the slide launch is 72 feet tall. 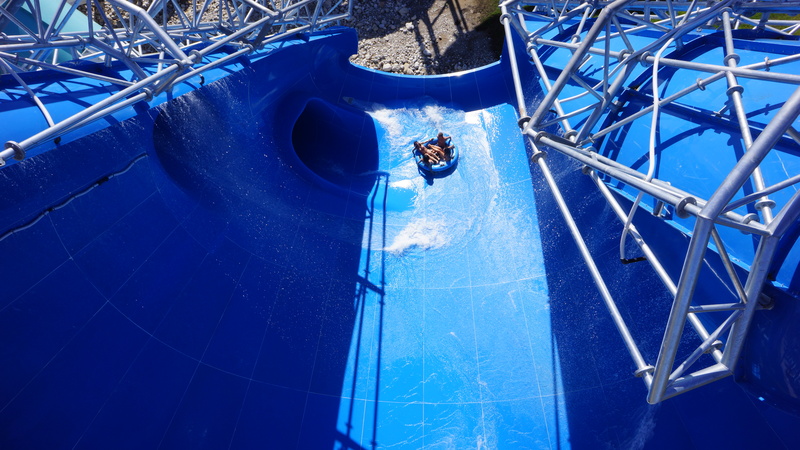 After the custom slide segment, the raft drops at a 32 degrees angle into the sphere where it follows a seemingly random path, going up and down the sides before exiting through another tunnel into either a runout or exit pool depending on the operator’s preference. 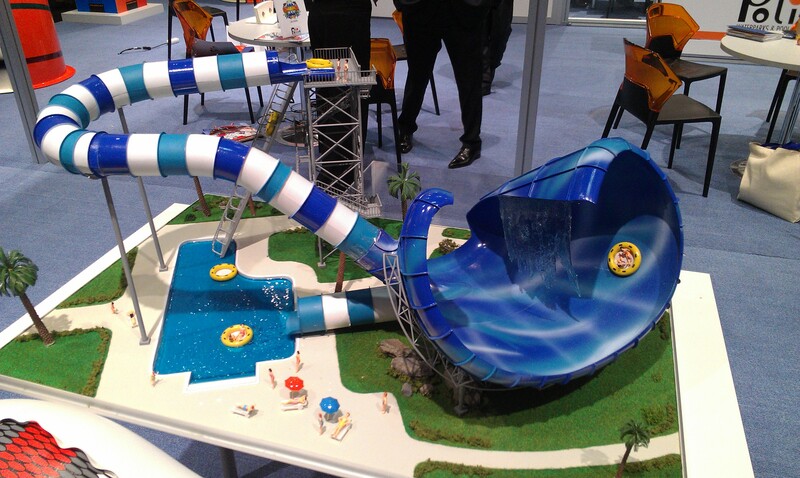 In 2012, Polin introduced an interesting evolution of the Funnel Slide. Known as the “Surf Safari”, it is an extremely flexible design with fully enclosed, half open and half closed configurations. 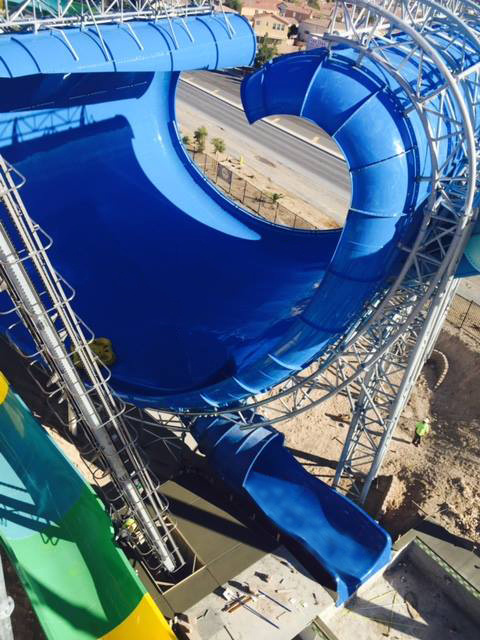 In the case of the first North America installation at Cowabunga Bay (Las Vegas, NV), it has a waterfall coming down from one side. It is an option that can be installed on one or both sides of the pipe opening. 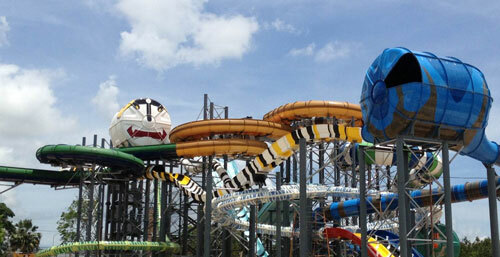 This picture shows the water slide section with the Surf Safari on the right. 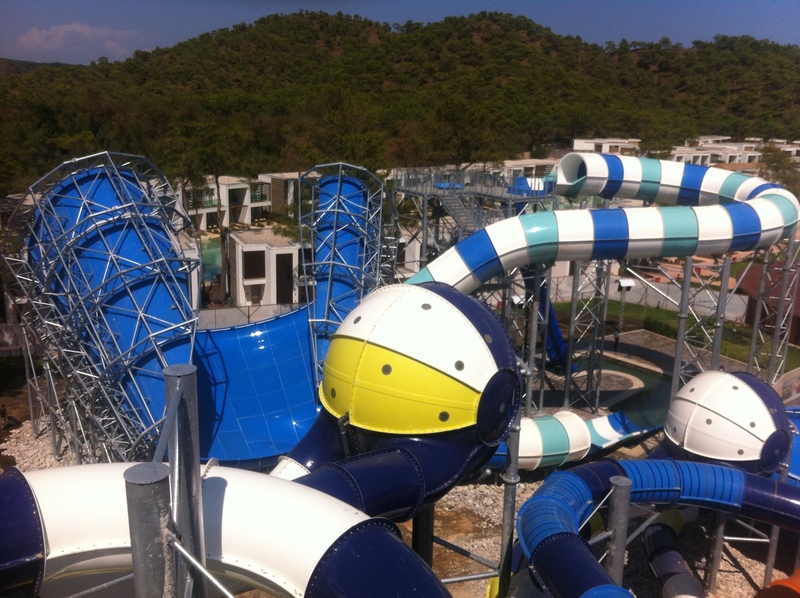 This was the first installation at Rixos Premium Terikova (Terikova, Turkey) and it opened in 2014. 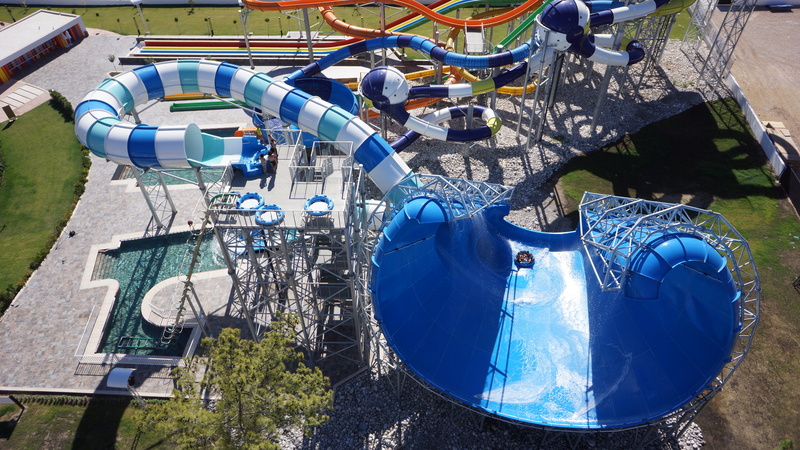 This great picture shows the whole slide layout. The large raft is near the exit of the Surf Safari. A small runout pool was selected by the park for this installation. 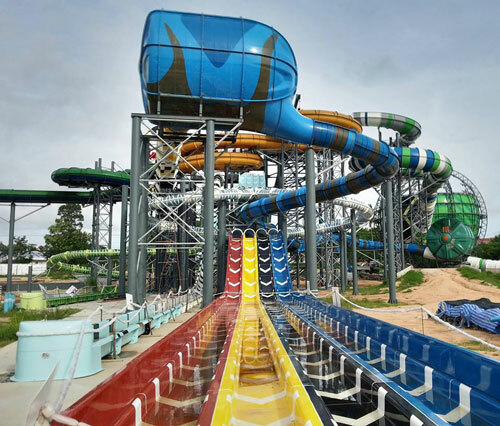 A modified U shape slide layout was designed for the pre Surf Safari portion. 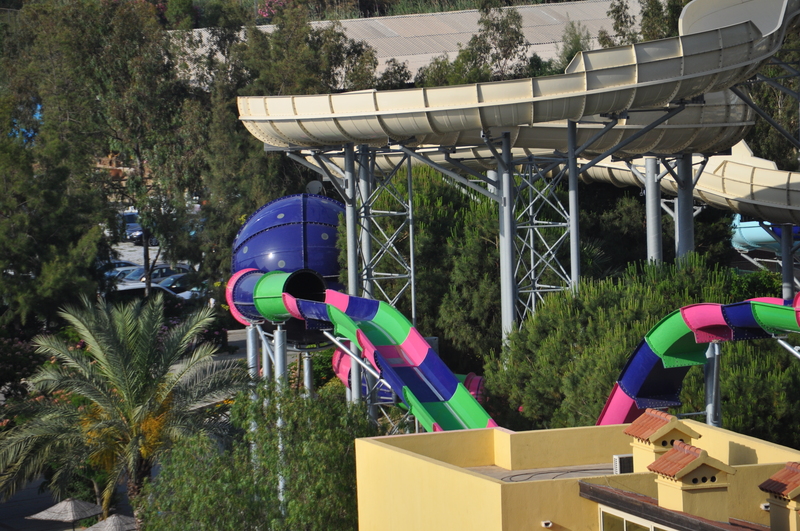 After exiting the Surf Safari, this slide section give the raft the time and space needed for it to return to a neutral position for a smoother stop. Excited riders surrounding one of the slide raft. The bowl shape is parabolic and engineered for a longer ride time and more action than comparable models. The 4 persons raft enter one end of the bowl, does a few oscillations before coming out near the entrance. 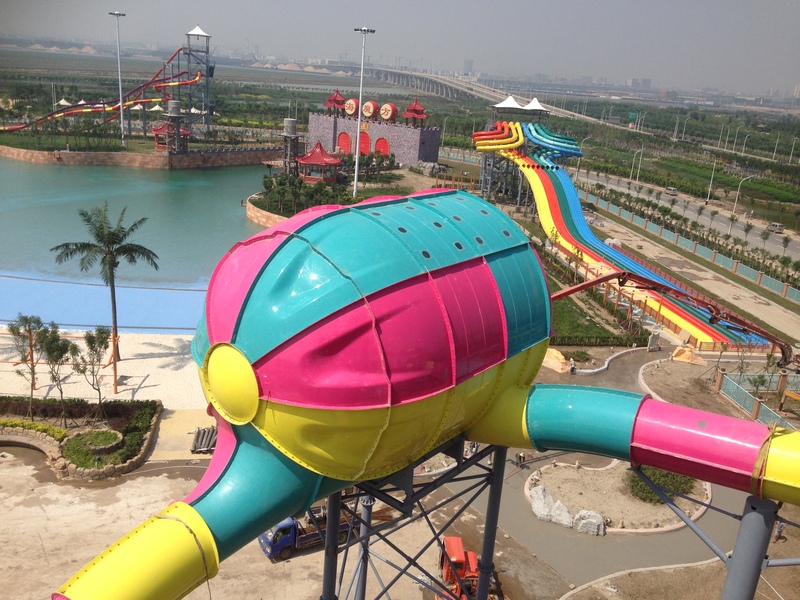 This picture shows the Surf Safari model that is opening as “Wild Surf” in 2015 at Cowabunga Bay. Notice the waterfall and the space efficient raft lift. 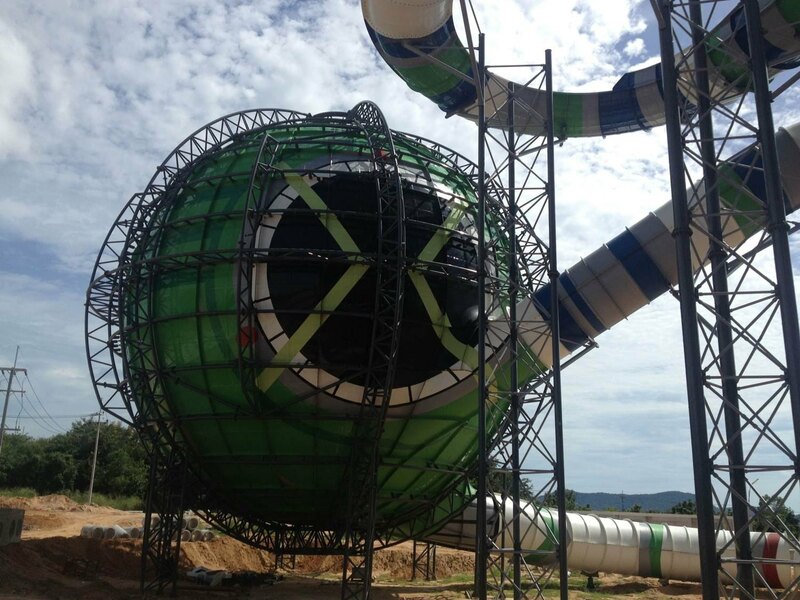 The real one will feature an impressive 60 feet drop into the parabolic bowl. In 2013, the Space Shuttle was unveiled and offered to prospective customers. 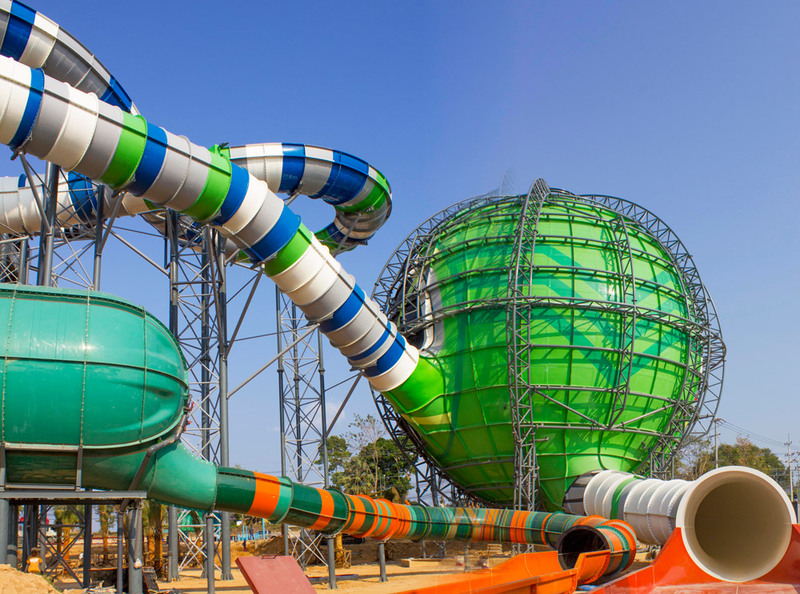 It uses the two person inline inner-tubes to take riders down a path that mix slide sections and elongated pipes that give thrilling back and forth movements. They can be either fully enclosed, half enclosed or open. 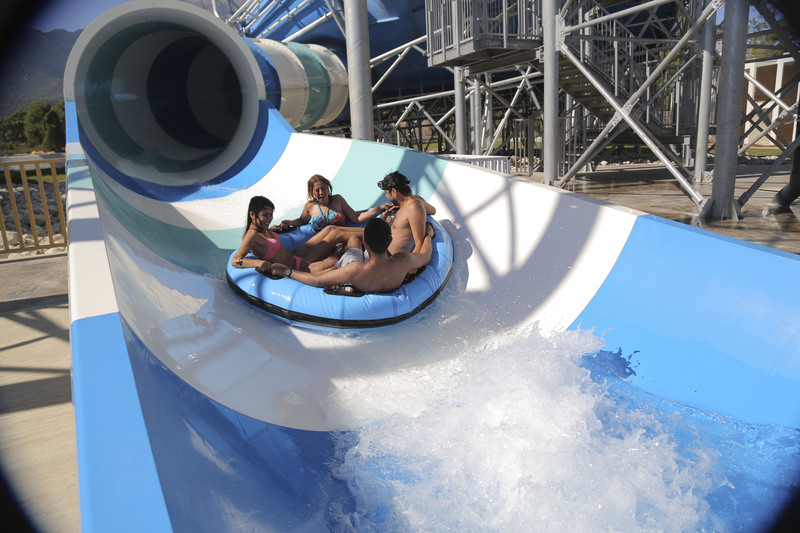 The longer tubes have a benefit as using water projected near the base, riders will be repositioned in a forward position for the rest of the slide, thus preventing tubes getting stuck sideway or going backward. 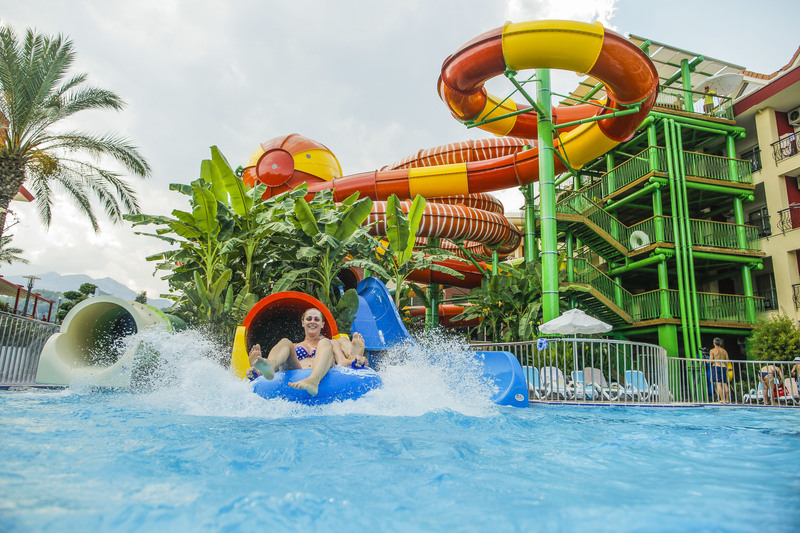 The first installations opened in 2014 and in the case of the one at CN Amazone water park (Bang Saray, Thailand), it combines many Polin technologies. 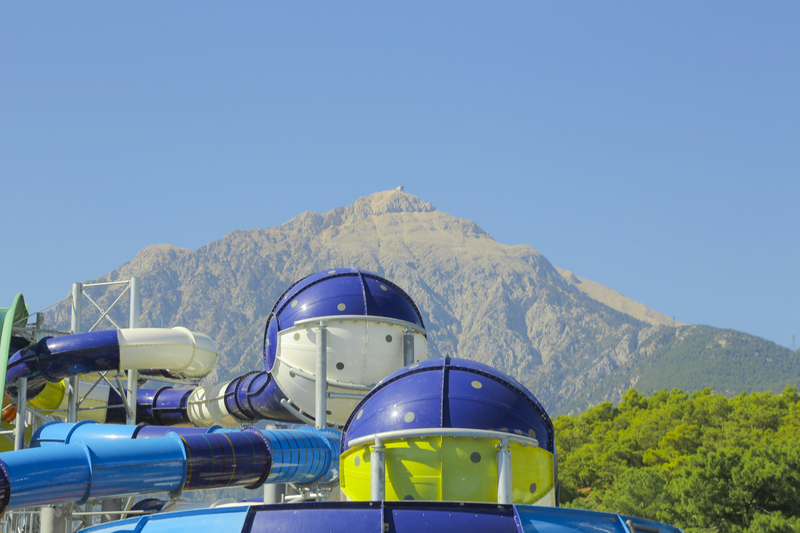 “Alien Attack” features 3 “Space Shuttles” (the name of the elongated pipes), a uphill section and patented Natural Light Effects that add a lot to the experience. 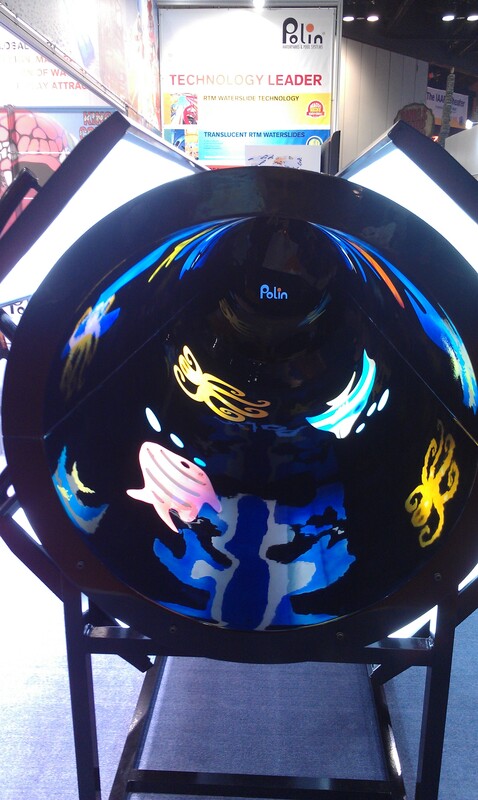 At IAAPA Attraction Expo 2014, Polin had a section of Natural Light Effects slide in demonstration. 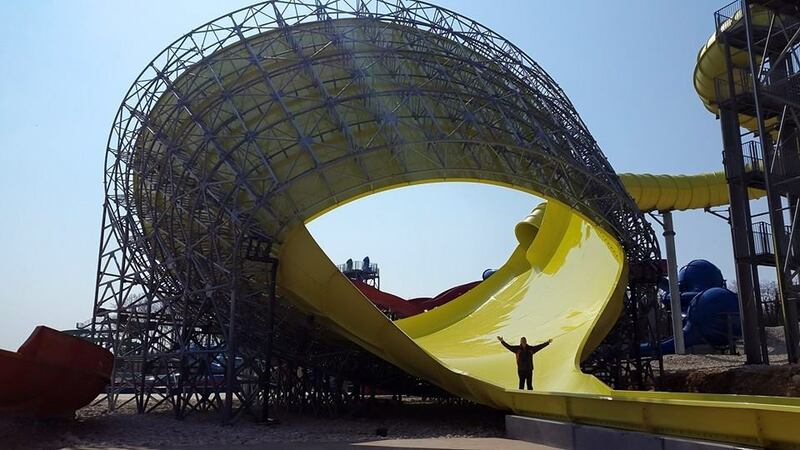 The pattern for this one is various denizens of the sea, but for CN Network, stripes give an incredible visual effect as you go down the slide. 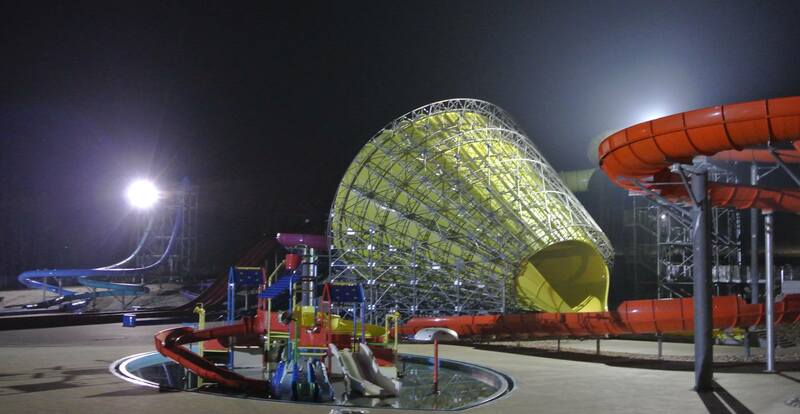 In 2014, the “Sphere” opened at Aquacolors in Porec, Croatia. It takes the same streamlined design as the Magic Sphere, but there are multiple smaller spheres instead of a large one. 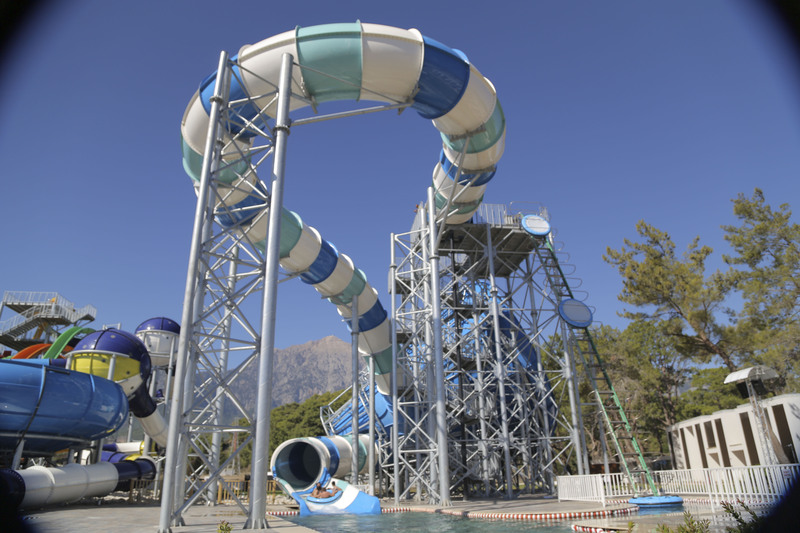 Thus, it can be designed around existing slides or infrastructure. It uses the familiar two person inline inner-tubes to carry its passengers. Polin is currently showcasing a new concept called the “Magicone”. It is an open ended cone that lay down on its side and again features the same high capacity 4 passenger rafts. 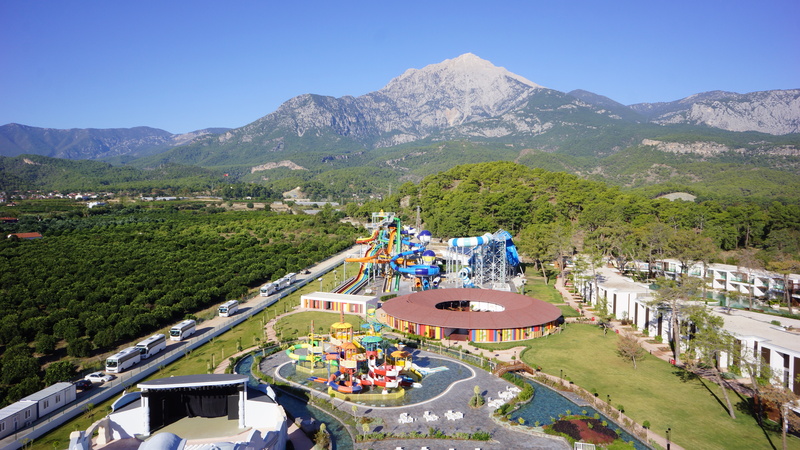 It is a more compact solution for parks that are tighter on available space, but still want a thrilling high capacity attraction. 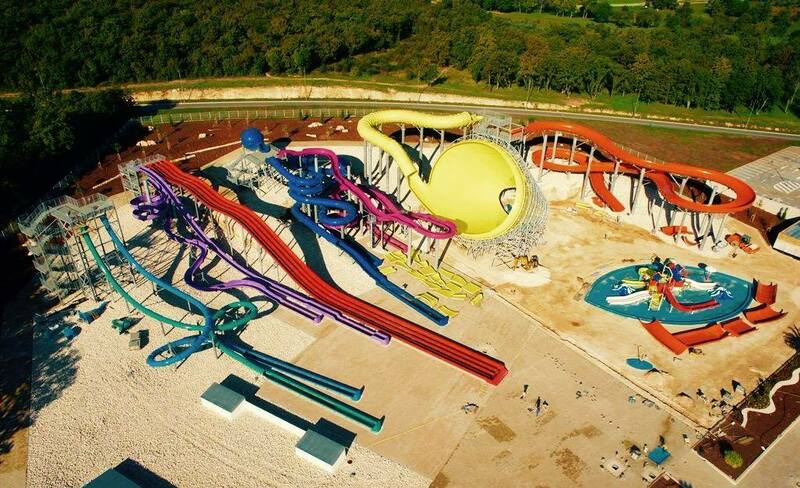 The first Magicone will be opening on May 16th 2015 at the Aquacolors water park as well. 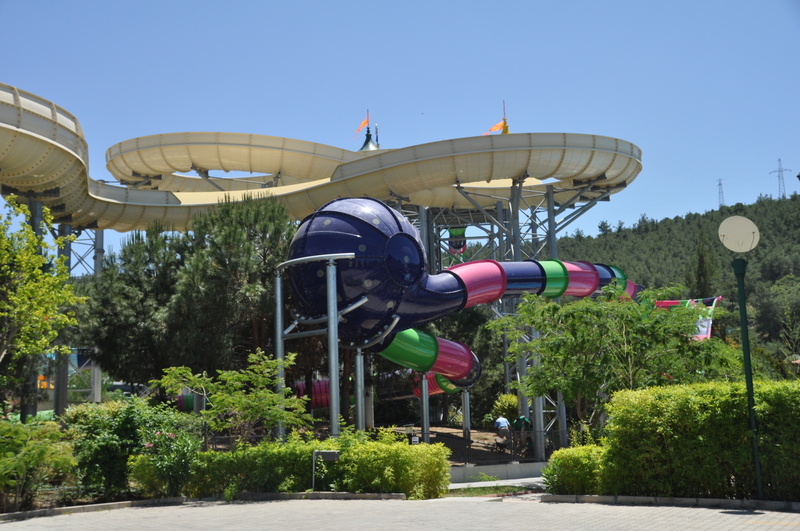 This entry was posted in Water Ride and tagged CN Amazone, Funnel, Polin Waterparks, Turkey, water slide. Bookmark the permalink.